Manuela Leonhartsberger was born in Austria. 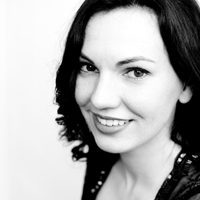 Currently the Mezzosoprano is member of the ensemble of Volksoper Wien. Manuela Leonhartsberger studied at the „Konservatorium Wien“ and the „University of Music and Performing Arts Vienna“. She vocally trained with Julia Conwell, Helena Lazarska as well as Gerhard Kahry and participated in masterclasses with Angelika Kirchschlager, Roger Vignoles, Bernarda Fink, Edda Moser, Michael Schade, Peter Schreier and Helmut Deutsch. The young mezzo is winner of various international competitions and prestigious scholarships: Chamber Opera Rheinsberg Competition at Deutsche Oper Berlin, Britten-Pears Young Artist Programme (Aldeburgh Festival, England) e.g. She started her career as a soloist at „Neue Oper Wien“ in 2011 while still being enrolled as a student. Already in the same year she debuted at Volksoper Wien and was also invited to sing at the renowned „Osterklang Wien Festival“. In 2013 she made her debut at Landestheater Linz, jumping in at two days notice to learn and sing the female lead role Baronin Gondremark in Offenbach’s operetta „La vie parisienne“. As a young soloist Manuela Leonhartsberger has already performed internationally at various opera houses and renowned festivals like Festspielhaus Baden-Baden, Schleswig Holstein Festival, Polish Music Festival Krakow, Aldeburgh Festival, St. Margarethen Opera Festival, Bratislava National Theatre, Erkel Theatre Budapest as well as at Tokyo Bunka Kaikan. Her operatic repertoire includes roles such as Dorabella (Cosi fan tutte), 2nd Lady (The Magic Flute), Orlofsky (Die Fledermaus), Cherubino (Le Nozze di Figaro) or Haensel (Haensel und Gretel). Manuela Leonhartsberger is also well acquainted with contemporary repertoire. Recently she gave her very successful debut in the technically highly demanding role of Judy in Sir Harrison Birtwistle’s opera „Punch and Judy“ at Kammeroper Wien which was greatly appraised by the press. The production was hence invited to participate and perform (arte live broadcast) at the Armel Opera Festival where it won the price for best production as well as the Arte Audience Price and was invited to perform at Festival d’Avignon in 2015. 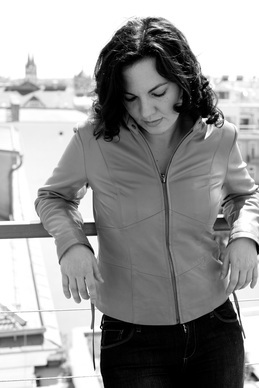 Another focus of Manuela Leonhartsberger’s musical activities is concert performance and lied recital. She debuted at Musikverein Wien with Mahler’s „Songs of a Wayfarer“ and was invited back to sing a song cycle by Austrian composer Christian Muthspiel. Consequently she was also invited to perform orchestra songs by Mahler with the Bratislava Symphonic Orchestra in Radiokulturhaus Wien. Upcoming concert performances include alto solo in Bach’s St. Mathew’s Passion. Manuela Leonhartsberger trained as a pianist before she decided to focus on a singing career and she holds a master in English philology studies from the University of Vienna.